*Click on the presenters name(s) for the bio(s). The Office of Sustainability is the hub of UAlberta's Campus Sustainability Initiative. We work collaboratively with the Office of the Provost, the facilities and operations portfolio, and many other units and student groups. Together we inform, inspire and enable students, faculty and staff to create and adopt sustainable practices with a focus on: outreach and engagement; teaching and research; and, facilities and operations. In addition to welcoming conference attendees to the University of Alberta, we will provide an overview of UAlberta’s Campus Sustainability Initiative and provide examples of the programs we deliver including the Green Labs Program. 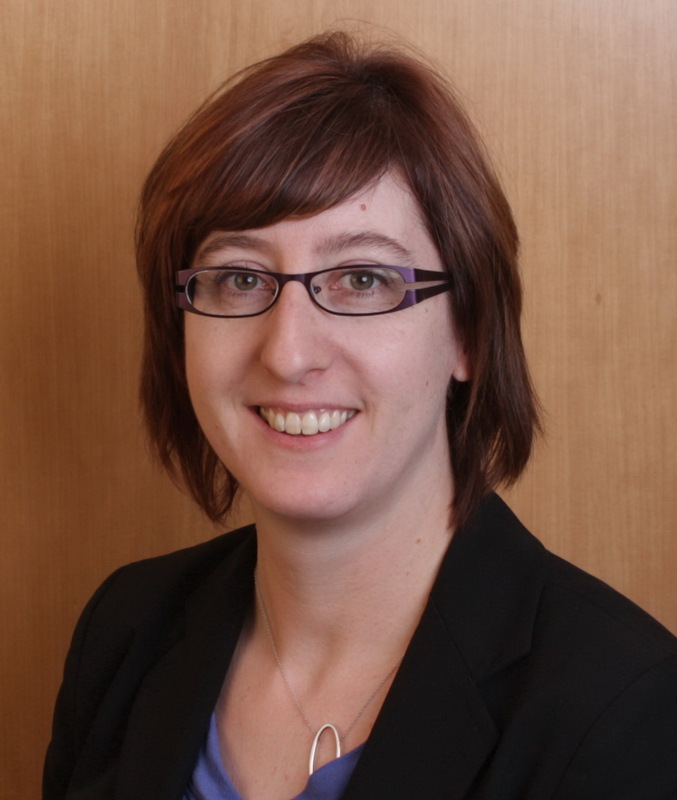 Trina Innes is the Chief Sustainability Officer at the University of Alberta. She has worked for over 20 years providing strategic leadership, environmental management and public engagement expertise to industry, government, academic and non-government organizations. Previously, Trina served as the senior manager for environmental education and outreach with the Government of Alberta. She started her career as a professional forester with the British Columbia Forest Service. She is board secretary for the Association for the Advancement of Sustainability in Higher Education and a member of the City of Edmonton’s Environmental Advisory Committee. Trina holds an MBA (Athabasca University), Masters in Forestry (University of New Brunswick), a Bachelor of Science (Western University) and a certificate in corporate social responsibility (University of Toronto). Emma earned a Bachelor of Science degree in Nutrition and Food Science from the University of Alberta in 2012. Since graduating, she has worked in sustainability at the three post-secondary institutions in Edmonton; MacEwan University, the Northern Alberta Institute of Technology, and the University of Alberta. In her various roles she was responsible for reporting on institutional sustainability performance through STARS (Sustainability, Tracking, Assessment, and Rating System), as well as developing and implementing behaviour change programs aimed at providing tools for students, staff, and faculty so that they can reduce their impacts on campus. In September 2015, Emma returned to the University of Alberta to fill the new position Project Planner – Green Labs. She is currently working with teaching and research labs to help ensure that they are healthy and safe spaces supported by sustainable practices. She is also completing an MBA in Community Economic Development from Cape Breton University through its Edmonton cohort delivery program. Far too often, occupants behave in unexpected and energy-intensive ways in buildings. But are they acting illogically? And can we fault them for carrying out their personal and professional goals with little regards for building performance? This presentation explores a variety of case studies where occupants acted in very different ways than expected by building designers and operators. It will then propose a three-pronged approach to designing and operating buildings to encourage more sustainable behaviours. Finally, the presentation examines successful cases of good design from around the world. The take away message is that occupants are challenging, but not impossible, to design for. Liam (William) O’Brien, PhD is an associate professor and program advisor for Carleton University’s Architectural Conservation and Sustainability Engineering program and the principal investigator of the Human Building Interaction (HBI) Lab in Ottawa, Canada. The HBI Lab is a team of 10 researchers with diverse backgrounds in civil, mechanical, and electrical engineering, architecture, and psychology. Prof. O’Brien is researching design processes and developing novel controls for high-performance buildings, with a specialization in understanding, modelling, and designing for occupant behaviour. He is currently a subtask co-leader for International Energy Agency EBC Annex 66 on “Definition and Simulation of Occupant Behaviour in Buildings” and is editing a book on occupant research methods. Since starting at Carleton University in 2011, he has taught four courses, including Green Building Design and Indoor Environmental Quality. Dr. O’Brien has authored or co-authored over seventy refereed conference and journal publications and co-edited a book on net-zero energy buildings. 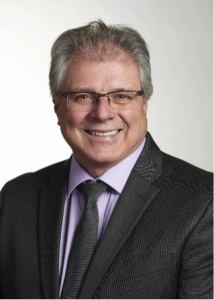 He is heavily involved in the building design and research community, including being the Faculty Advisor for the ASHRAE student chapter and President of the Canadian Chapter of the International Building Performance Simulation Association (IBPSA-Canada). He has organized multiple academic conferences, including chairing SimAUD 2013 and eSim 2014, and numerous educational workshops aimed at graduate students and professionals. He has given many presentations to local and international researchers, architects, and engineers and presented "Occupant-Conscious Buildings" at TEDxRideau Canal in 2012. He has won several prestigious awards including the Carleton Research Achievement Award and the Ontario Early Researcher Award. The results of a recent nationwide study on laboratory plug loads revealed a significant opportunity for energy savings. Over 1,500 scientists responded to questions about thirty-two pieces of equipment across seven product categories. Data about the average number of pieces of equipment per lab and the operating hours for the equipment were used to calculate a total estimated energy consumption of plug loads in labs. This work was done as part of a larger project to establish a center for independent, objective third-party energy testing and benchmarking of laboratory equipment. Allison Paradise co-founded My Green Lab to bridge the pervasive, inexplicable gap between sustainability and science. Combining a long-held passion for environmental stewardship, a belief in the power of collective action, and the knowledge afforded by her experiences as a scientist, Allison maintains a unique appreciation of the vast potential to make research methods more sustainable. Motivated by that opportunity, Allison works to unite scientists, vendors, institutional executives, and entire organizations in the bringing of innovative and engaging sustainability programs directly to laboratories. Also under her leadership, My Green Lab has established widely-used standards for sustainable laboratory practices, and is currently guiding an effort to dramatically improve precision in the analysis of laboratory energy consumption. As a scientist, Allison’s research focused on using a systems approach to studying complex biological processes. She subsequently applied systems thinking to address a variety of complexities in the lab, including sustainability. She holds undergraduate degrees in neuroscience and Spanish literature from Brown University, and a graduate degree in neuroscience from Harvard University. She is a 2015 recipient of the International Institute for Sustainable Laboratories’ Go Beyond award, and is frequently engaged to speak on topics related to sustainability in research. Effective outreach can be a powerful tool for reducing the environmental impact of laboratories. Communicating energy and water conservation strategies requires considering the interests of scientists, energy managers, and other facility personnel to tailor outreach activities for the intended audience. My Green Lab launched a market assessment to understand stakeholder attitudes about energy efficiency and identify potential opportunities for energy efficiency in labs. Drawing on data gathered from this market assessment, green lab certifications, and existing green labs programs, My Green Lab will outline opportunities for all stakeholders to engage scientists in energy and water reduction strategies. Learn where the interests of scientists, energy managers, facility managers, architects, designers, sustainability managers, and environmental health and safety personnel intersect. Learn the strategies of highly effective outreach programs. Learn how to effectively communicate conservation strategies to labs. Learn what the potential impacts and savings are from outreach activities. In recent years, laboratory design has evolved and now takes into account a multitude of factors and parameters. The circulation vector is one of these design factors that can influence the architecture and engineering of a laboratory. Its goal is to maximize work efficiency, minimize travel and ensure security inside the lab. It is the work functions inside the laboratory that define the circulation vector. They are directly connected to the research performed in the laboratory and also to the type of instruments used. Instrumentation knowledge will also define the circulation vector and answer scientist need inside the laboratory environment. Sylvain Letarte, Ph.D., P.Eng, President, Phytronix Instruments Inc.
Sylvain Letarte obtained his Ph.D in 2002 and joined the ‘Ordre des Ingénieurs du Québec’ in 2005. At the end of 2005, he becomes a founding partner and president of Phytronix Instruments Inc. With more than 15 years of experience in scientific instrumentation and laboratory design, he leads the growth and development of the company, and provides strategic direction on many engineering projects. As this energy saving program could potentially impact safety in labs, the Sustainability Office and the Environmental Health and Safety Office initiated a study of the containment of FHs at reduced face velocities in conjunction with the annual recertification process. The testing looked at FHs "as used" - comparing ASHRAE 110 certification testing and stand-alone smoke pattern visualization. During this study, N2O, which has a much lower CO2 equivalent impact than the standard tracer SF6 gas, was used and compared under the same conditions to validate the use of N2O in the future testing. In addition, the use of smoke pattern visualization was compared to tracer gas measurements and was found to be an effective method for assessing the likelihood of a pass or fail using the ASHRAE testing protocols. This allowed us to develop an efficient methodology of first pass assessment of containment. Based on the smoke pattern visualization and cross draft measurement, FH containment was graded into four different levels: (A) full containment, will pass ASHRAE 110 certification "as used" - no further testing required; (B) small flow imperfections observed, require further investigation and containment testing; (C) significant smoke disturbances; further containment testing is required; may require an increase in face velocity; (F) smoke escape from FH, will fail certification - action required. Geoff Shirtliff-Hinds is an Occupational Hygienist managing chemical and laboratory safety at the University of Toronto. Programs that Geoff has been primarily responsible for over the past ten years include fume hood standards and certification, laboratory safety manual and laboratory HVAC systems. Geoff has played a key role in lab design projects from a health and safety perspective and is a consultant to over 15 Joint Health and Safety Committees on Campus. Geoff holds a Masters of Health Sciences degree from the University of Toronto and an honors Bachelor of Science degree from McMaster University. Water condensers and rotary evaporators are staples in most research laboratories. Historically domestic water has been used for cooling and in creating vacuum by water aspiration. This all contributes to the Utility Bill. Sustainable alternatives are available. Several of these option will be discussed. Mike Dymarski is a founding member of Sustainable Labs Canada and presently serves on the Board as the Treasurer. He works at the University of Toronto as the Chief Administrative Officer in the Department of Chemistry. In his position at U of T, he provides the technical and administrative advice and support to the 45 faculty and 300 students and support staff in the Department of Chemistry. Working with Facilities and Services, Mike has been successful in implementing a number of energy saving projects in the Lash Miller Chemical Laboratories Building including a nightly setback of the Undergraduate laboratory ventilation system, installation of reduced velocity fume hoods and use of cascading air supply systems in laboratory renovation. He is currently working on an overhaul of the Building air handling system, converting the Lash Miller Building from CAV to VAV. Laboratory ultra-low temperature (ULT) freezers are the single largest piece of lab user equipment that consume energy in a typical laboratory, consuming up to 91 percent of a lab’s total plug load. Recognizing the potential for energy use reductions in laboratories that consolidate and remove excess ULT freezers, the International Institute for Sustainable Laboratories (I2SL) and My Green Lab will have launched the first year of the North American Laboratory Freezer Challenge (FC). Besides having the goal to reduce energy consumption by equipment in the lab, the FC promotes sample accessibility, sample integrity, and reduced costs by harnessing a spirit of competition within and between laboratories. Challenge participants will employ well-evidenced criteria and best practices that support science quality and resilience while minimizing total costs and environmental impacts of sample storage. Details for participating in this challenge will be presented. The technology we use to filter our air has changed significantly over the past 10 years – though many facilities are still not aware. Cleaner air affects every stage of a facilities operation, from the function of critical equipment, the research done in the lab, the health and safety of staff, to the utility and cleaning bills. Most sustainability goals tend to be focused on long difficult transitions, require capital expense and serious planning. But, what if they didn’t need to? There are approaches that even the smallest facility can do to reduce its carbon footprint, lower its energy costs and improve the health of the staff who work there; all within a few months. And if the thought of improving air quality and your staff’s health doesn’t sound interesting, perhaps a significant decrease in operational costs will? Examples of where this has already been done and how to implement. He is a highly sought after public speaker, and enjoys presenting to large and small crowds. He also sits on the board of directors for the International Society of Pharmaceutical Engineer’s Canadian affiliate. The Otto Maass Building built in 1964 and located on the McGill University campus in downtown Montreal is dedicated to education and research in chemistry (total gross floor area of 125,000 ft2). With an average fume hood density of around 10 chemical fume hoods per 5,000 ft2 (including mechanical rooms and office spaces for a total of 235 chemical fume hoods), it was, in 2008, the biggest energy user of the campus (around 10% of the total energy consumption of the whole campus but accounting for only 3.4% of the floor area of the campus). The mechanical system supplying the lab area had not been renovated since the construction and there were no energy recovery devices installed. McGill decided, in 2009, to completely renovate 37,500 ft2 of laboratories (40% of the building’s laboratories) and all mechanical rooms and distribution shafts serving laboratory areas, while maintaining most of its operations in the rest of the building. The biggest concern was to maintain a safe, secure, and healthy environment for users while replacing all HVAC. One solution was to install temporary HVAC systems in the courtyard for a total of 120,000 cfm of 100% fresh air to supply the spaces that were left occupied. Since all central distribution shafts were renovated, the temporary air distribution was placed on the outside wall and many windows were removed to pass the ducts serving each room. During the 12-month project, which included the winter period with temperatures as low as -20 F, laboratory works had to be carefully planned and scheduled so researchers had enough lab space to continue their experiments. In the end, a total of 150,000 cfm of capacity (6 supply systems of 25,000 cfm each at 100% fresh air and 6 exhaust systems of similar capacity) was installed. The energy efficient installations included VAV, motion sensors for light, ventilation and fume hood face velocity, run around glycol recuperation loop, low temperature terminal reheat that is heated by various heat pumps in lab equipment rooms and by the heat rejection of a major server room located in another building, low velocity system, reuse of office air for minimum ACH required in lab space, precooling of exhaust air (with recuperated condensate) for greater energy recovery in the summer. In addition, energy meters were installed to monitor the energy consumption of the building via energy management software used by the University. Pierre-Luc Baril, Eng., LEED AP BD+C, ASHRAE HFDP, Project Manager and Associate, Pageau Morel et associés inc.
Pierre-Luc Baril quickly carved out a place for himself in the PAGEAU MOREL team, having been hired soon after graduating in 2006. A rigorous and conscientious engineer, he works primarily on science and office building projects, is a LEED accredited professional since 2007, and HFDP since 2008 (ASHRAE Healthcare Facilities Design Professional). He is also involved in Construction Specifications Canada (CSC) and gives a certificate course at École Polytechnique de Montréal. In addition to his involvement on the Otto Maass project, he has worked on monitoring the construction of McGill’s Life Sciences Complex (180,000 ft2 of cancer research laboratories, genetic biology, cell information systems, animal facility, sector for transgenic animals and a containment level 3 laboratory), on the John Abbott College project for the new Anne-Marie Edward Science Building (115,000 ft2 of classrooms, laboratories, faculty offices and student service spaces), and on several other laboratory and animal facility projects. Pierre-Luc is the founding chair of the Montreal Chapter of Sustainable Labs Canada (SLCan). The Office of Environment, Health and Safety (EHS) and the Office of Sustainability at the University of Alberta have identified that effective long-term progress is only achieved when the individuals in the laboratory take ownership of the program. As such there is synergy between the programs and a partnership between the groups can result in improved performance in all subject areas. For this reason, a Green Labs Project team has been developed to support growth of a culture of safety and sustainability in University of Alberta teaching and research labs. Together these offices are working to address safety and sustainability in three key areas: training opportunities, lab inspections and hazardous waste. In addition to encourage the desired cultural change within the three key areas EHS has developed a number of tools including a hazard management process, supervisory training and chemical management to allow laboratory personnel to take ownership of their safety and sustainability programs This presentation will include highlights of the accomplishments to date and goals for moving forward with a focus on some of the key initiatives including training, inspections and hazard management that drive cultural improvement. Rob Munro earned a Bachelors degree in Chemical Engineering from the University of Alberta in 1986. He spent more than 20 years in the chemical processing industry in a wide variety of roles, including product development, operations management, and quality management. For the last five years in industry, Rob was responsible for all health and safety activities in a complex safety sensitive organization, where he gained considerable experience in implementing environment and safety systems. In 2009 Rob joined the University of Alberta as the Director of Environmental Health & Safety. In this role and through a diverse management team, Rob takes a leadership role in maintaining and improving safety performance and environmental stewardship throughout the University. Rob has also been a member of the Alberta Occupational Health and Safety Council (OHSC) since 2011. The OHSC advises the Minister on matters concerning the Occupational Health and Safety and hears appeals with respect to the Occupational Health and Safety Act. At 4% of campus floor space and 10% of campus energy use, the University of British Columbia’s (UBC) LEED® Gold Life Science Centre represents a large proportion of overall energy use on campus. Starting in 2012 UBC’s energy conservation team began a systematic process of low cost optimizations, waste heat recovery and behaviour change program development which have led to 35% reduction in building energy use. Julie Pett is an Energy Engineer within The University of British Columbia’s (UBC) Energy Planning and Innovation (EPI), Energy and Water Services unit. The EPI group is responsible for energy infrastructure planning, campus energy and water performance, and building automation systems. Julie works within the Energy Conservation group planning and implementing large and small-scale retrofit projects across the campus. She also works closely with the University’s BMS group to optimize building control systems to save energy. In this role, Julie specializes in laboratory energy conservation and leads projects optimizing control systems, laboratory air changes, and demand control ventilation. Through professional diligence, collaboration and innovative practices, the EPI team’s mission is to achieve the University’s sustainable energy and water goals. Julie is a registered Professional Engineer in British Columbia and Ontario. She has a background in high performance building design and operation, LEED project management, and energy modelling for new construction. In tandem with her role at UBC, Juie provides energy consulting services for new construction projects. She received her Bachelor of Mechanical Engineering at Queen’s University in Kingston, Ontario, and has a Master’s of Engineering in Clean Energy from the University of British Columbia. HVAC systems are among the greatest energy consumers of large buildings and hence high energy cost. European high-performance “run around energy recovery systems” (RAERS) with advanced control software are operating at efficiencies of net 70-90% (based on annual energy consumption for heating and cooling), taking into account the additional electricity needed for glycol pumps and added fan power to compensate for air pressure drop in the coils. While the thermodynamics of an energy recovery system are relatively simple, it is critical that high-performance systems operate at optimum performance under varying operating parameters. With several variable input parameters (outside air/supply air/return air temperatures; air volumes; glycol volumes and temperatures), controlling and optimizing a system requires a numerical simulation based controller that allows variable amounts of heat transfer fluid to be circulated throughout the system. In multi-functional systems, additional heat and/or cold is introduced into the glycol circuit, either to boost the heating/cooling capability of the energy recovery system from waste heat/cold sources, or to control the supply air temperature to the building to eliminate the need of separate heating/cooling coils in the supply air handlers. These features add yet another level of complexity to the controller function. Rudolf Zaengerle is the President of Konvekta’s North American operation; a subsidiary of the Swiss based Konvekta AG, a manufacturer of high performance energy recovery systems. He holds a Master of Mechanical Engineering degree and a PhD in Business Administration, both from the Swiss Federal Institute of Technology, Zurich. He has also studied at Harvard Business School. He was an Assistant Professor at the Swiss Federal Institute of Technology’s Energy Sustainability & Urban Planning Institute before he relocated to the USA more than 20 years ago to manage Swiss technology businesses in North America. Health safety and security operational programs. John Shannon is Safety Manager, Biosafety Officer and Laser Safety Officer of Research Facilities Planning and Safety at the University Health Network (www.UHN.ca) in Toronto, Ontario, Canada. He leads a team of Safety Coordinators that are driven in developing and maintaining UHN Research safety programs including biosafety, chemical safety, laser safety and general laboratory safety. He is a key liaison with safety and environmental Regulatory bodies. In alignment with infrastructure-related projects, John ensures that space planning and design initiatives across UHN comply with regulations, standards and guidelines to create safe, healthy and secure research environments. John has 13 years of direct laboratory experience from Princess Margaret Hospital/ Ontario Cancer Institute as a Research Laboratory Manager and has co-authored seven peer-reviewed papers. He has completed various Biosafety training courses including the High Containment Biosafety training in Winnipeg at the Canadian Science Centre for Human and Animal Health. 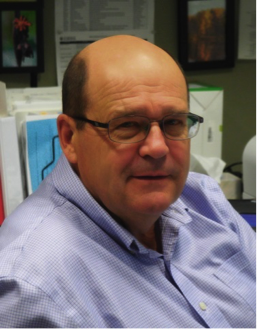 John is a Joint Health and Safety Committee Co-Chair at UHN, is a member of American Biological Safety Association (ABSA), Canadian Association of Biological Safety Officers and affiliate member of Ontario Universities Biosafety Officers. John graduated with an Honours Bachelor of Science degree in Biology from McMaster University, Hamilton, Canada. As part of the evidence based mind-set adopted by the Center for Biosecurity at the Public Health Agency of Canada, all biocontainment requirements have been and continue to be reviewed for their true intent in a biocontainment application. Physical and operational requirements are being investigated and reworked to become performance based allowing labs to meet the requirements in a method that better suits their situation. Brandon Rozo is a biocontainment engineering inspector with the Public Health Agency of Canada and has been employed on this capacity since 2014. Prior to his role as an inspector, Brandon was obtaining his mechanical engineering degree from the University of Guelph where he had the opportunity to pursue multiple internships with the engineering team within the Centre for Biosecurity at the Public Health Agency of Canada. Since then, he has acquired knowledge sets in relation to the physical and operational requirements needed to regulate high containment labs in accordance with the Canadian Biosafety Standards. Existing laboratory buildings built in the 70’s era typically suffer from a variety of problems ranging from poor fume hood containment, improper pressurization, temperature control and possibly exhaust air re-entrainment. The mechanical system infrastructure in these buildings are getting old and are probably ready to be upgraded or replaced. Today’s new labs incorporate modern laboratory systems to keep energy costs down while providing a safe and collaborative facility for research to take place. However, not everyone has the ability to fund new facilities and consideration must be given to renovation and upgrading existing laboratories that have good bones. These older laboratories can take advantage of modern ventilation systems technology and safety improvements. These include energy cost reduction by converting constant volume systems to variable air volume, improving fume hood capture and containment, reduction in noise levels, better temperature control and improved pressurization control. This presentation is a case study of University of Pennsylvania’s Chemistry 73 building retrofit and will outline the challenges, approach and outcomes for this facility. 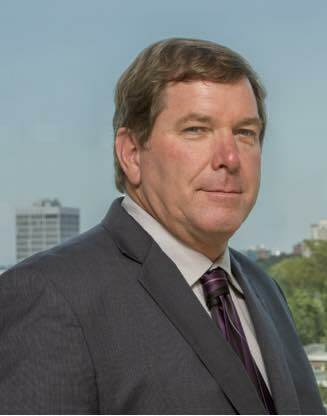 Don MacDonald is currently the Northern Regional General Manager for Phoenix Controls and covers Canada as well as several states in the north east and central USA. He is a graduate of Ryerson University in Toronto, Canada with specialization in control systems technology. Don has been involved with the HVAC industry since 1977 when he started his career with Johnson Controls then moved to Phoenix Controls in 1993. Don has been involved with many different laboratory, vivarium, bio-containment, healthcare and pharmaceutical projects across North America. His experiences will provide some valuable insight into design standards, customer needs and unique requirements for these complex facility ventilation control applications. Don is a member of ASHRAE, the Canadian Hospital Engineering Society, International Society of Pharmaceutical Engineers, Canadian Council of Public Private Partnerships, Canadian Association Laboratory Animal Sciences and the Canadian Professional Sales Association. Roger Fournier is currently Senior Associate and Project Manager at AHA Consulting Engineers. He is involved in the project oversight and business development of AHA’s academic; science and technology; healthcare; and, industrial and manufacturing markets. Roger specializes in converting from CAV to VAV active occupied buildings for energy savings and building upgrades. Currently, he is overseeing a $40,000,000 energy upgrade and HVAC conversion of an occupied Veterinary Hospital/Research facility. His project port­folio includes approximately $200,000,000 in energy upgrades, with many paybacks in eight years or less. His ability to “think outside the box” on CAV to VAV conversions has made many successful. Prior to joining AHA 15 years ago, Roger had a long history of work­ing HVAC/FP/Plumbing, structural, millwright, and rigging building trades. Roger was brought up in the mechanical contracting busi­ness and worked to acquire seven Massachusetts trade licenses, including Master Pipe Fitter and Master Plumber. This session will share important lessons learned from two LEED Platinum and two LEED Gold laboratory projects. We will discuss how aggressive sustainable initiatives on one project at Georgia Tech have created a ripple effect that has influenced many projects on campus and created a more sustainable future for the city of Atlanta. At the University of Calgary EEEL building, we will explore how sustainability became imbedded in the DNA of that design solution well beyond measures of simple energy savings. At Richland College we will share how owner commitment and an integrated design process can create healthy, sustainable environments that reduce energy costs, reduce health and safety hazards and create a rich culture of learning- without a budget increase. At Auburn University, we will look at a NIST Federal grant-winning project that serves five wide-ranging high-performing interdisciplinary research units. The sustainable solutions adopted for each research unit was unique, yet the building remains flexible for the future. Real time analysis of the actual equipment-based electrical and heat loads led to a dramatic shift in base building design assumptions that reduced initial infrastructure costs and yearly operations costs. 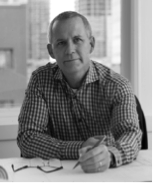 Gary McNay is a Practice Leader and Architect/Principal with Perkins + Will, leading planning, programming and design for Science and Technology and Education. His teams have enjoyed service to private industry, federal government agencies and over 40 institutions of higher education across North America, advancing sustainable research, learning and collaboration environments. Human health and wellness, natural resource stewardship and smart energy strategies are at the center of this work. Gary served as a lead instructor in the USGBC’s “LEED for Labs” professional development series for three years and has led the design of multiple LEED Platinum and LEED Gold certified laboratory buildings. His team’s solutions include innovative health and safety solutions and energy reduction strategies that break new ground in understanding user behaviour while creating smarter buildings and systems. The integrated team of architects and engineers at DIALOG is passionate about sustainable design as demonstrated by the recently completed Royal Alberta Museum in downtown Edmonton, Alberta. This presentation will outline the special design considerations and features of a modern sustainably designed museum with both human history and natural history curatorial and conservation labs and workrooms. The labs accommodate a wide range of research and conservation disciplines from textiles and fine arts to ichthyology and biodiversity. Topics covered include best practices and innovative solutions to meeting a broad range of criteria for the design of complex labs in a public facility with the need for flexible and adaptable spaces able to accommodate changes in research and conservation practices over the life of the facility. Specific topics related to the environmental performance criteria include supply air purity and filtration, maintaining precision temperature and humidity conditions, exhaust requirements, smoke control, fire protection, and technical requirements to mitigate water damage risk to artifacts and collections. Donna Clare is a registered architect and principal in the Edmonton Studio of DIALOG, an integrated team of urban planners, architects and interior designers, structural, mechanical and electrical engineers and landscape architects. Donna gained her professional experience in Toronto, San Diego, and Edmonton. She has been involved in a variety of projects with a focus on complex multidisciplinary research and teaching facilities, and arts and cultural facilities. Donna’s responsibilities encompass aspects of master planning, programming, design, and production. She brings a passion for design to our team and believes that design can, and should, meaningfully improve the wellbeing of communities – including those who inhabit them and the environment we share. An award winning architect, some of Donna’s notable projects include the Francis Winspear Centre for Music, the expansion of the TELUS World of Science – Edmonton, St. Joseph Seminary, the National Institute for Nanotechnology, the Markin/CNRL Natural Resources Engineering Facility, the Donadeo Integrated Centre for Engineering at the University of Alberta and the new Royal Alberta Museum in downtown Edmonton. Tim McGinn is an innovative mechanical design thinker and a recognized North American leader in green design. As a frequent lecturer and instructor on the integrated design process, green buildings, and green engineering, he frequently performs a dual role. His primary role is as the anchor to the mechanical team providing leadership in innovative thinking backed up by his exceptional engineering design skills. His secondary role is to be the facilitator and champion of the green design process, he has a Certified Charrette Facilitator Designation from the National Charrette Institute. Tim is a professional engineer and excels at successfully designing innovative and effective mechanical system for deep green buildings. Tim has designed a large number of buildings within Western Canada that successfully use European based technologies to deliver more energy efficient, comfortable buildings for his clients. Energy conservation measures such as demand based control, chilled beams, variable exhaust fan controls, heat recovery, etc. can make a big impact on saving energy in labs. Yet how can the savings of these systems be modeled particularly when these approaches interact with each other and thus must be modeled together in one holistic model? To address this, an energy analysis tool has been developed specifically to address these concerns. This presentation will discuss this tool as well as a related energy analysis tool that measures the actual airflow savings of completed projects. Several case studies will be presented on how the energy savings that was modeled compared with actual airflow savings and energy performance. Where savings did not match up with actual performance, some lessons learned will also be presented as to why some of these lab projects were not initially achieving their energy savings entitlement. Gordon Sharp is the Chairman of Aircuity and has over 25 years of experience and over 25 patents in energy efficiency, indoor environmental quality, and laboratory controls. As the founder and former CEO of Phoenix Controls, he led this world leader in laboratory airflow controls that was acquired by Honeywell in 1998. In 2000, Gordon founded Aircuity out of Honeywell and is a smart airside energy efficiency company. Gordon is an MIT graduate, an ASHRAE Distinguished Lecturer, and the Executive Vice President and a member of the Board of Directors of I2SL, the International Institute of Sustainable Laboratories. He is also a voting member of ASHRAE Standard 170 on Healthcare Ventilation, the ANSI Standard Z9.5 on Laboratory Ventilation, the ASHRAE TC9.10 committee on Laboratories and the TC9.11 committee on cleanrooms. Starting with a brief overview and history of the Canada Foundation for Innovation (CFI), this presentation will then focus on the CFI’s expectations in terms of effective operations, maintenance and sustainability of CFI-funded infrastructures. In the past few years, the CFI has transitioned to a risk-based management approach and is actively promoting this to its eligible institutions across the country as a means to reduce administrative burden but also to allow for increased effectiveness and efficiencies in the administration of CFI funding. As well, the CFI has shifted to a portfolio management approach which allows for improved decision making, facilitates optimal implementation and efficiencies, and enhances infrastructure sustainability. Good practices in these areas will be shared with the participants based on process, policies and practices that we have learned from institutional monitoring visits and insights shared by our colleagues at the institutions nationwide. Mark Lagacé has a PhD in molecular biology from the University of Ottawa. He is currently a Senior Programs Officer for the Canada Foundation for Innovation (CFI) and has been with the CFI since 2005. As a senior programs officer, Mark provides advice on strategic planning and takes a lead role in the development, design and implementation of CFI programs and policies, including managing the review of grant applications for research infrastructure as well as post-award processes. On behalf of the CFI, Mark coordinates relations with a portfolio of diverse institutions from across the country to develop an understanding of institutions’ concerns, needs and challenges, and integrate them into CFI activities. This presentation will focus on how the University of Alberta has approached the renewal and provision of new labs in existing buildings. The success of the renewal of teaching and research labs, as well as the provision of highly specialised research labs, has been so successful that this has led to the establishment of funding partnerships with faculties for expansion of the program. The University will present case studies on renewal of a chemistry wing, the development of ultra clean and low metals labs in existing facilities and the planning for renewal of teaching labs for a variety of facilities. The presentation will include the sustainable design elements incorporated in the modernisation. With over 40 years’ experience in facility services, Hugh Warren provides leadership and management oversight to a team of professionals and trades staff. Operations & Maintenance is responsible for providing facilities maintenance, project management services for major renovation projects, internal design and technical services, internal safety codes / hazmat unit, commissioning/quality control for major capital projects, the operations unit (custodial, grounds and building controls), deferred maintenance/capital renewal project planning, campus fire safety, facility HAZMAT programs and the unit safety program. Hugh has been particularly recognized for his proven ability in innovative strategic long-term planning for facility renewal and integration of project work in a partnered approach with faculties and researchers to meet their specific needs while addressing campus deferred maintenance. He is highly regarded by government and industry for his leadership and track record in project quality control, team building, and innovative planning for the future. Janet Koshuta, Principal, HFKS Architects Inc.
Janet Koshuta is a registered architect and principal of HFKS Architects Inc. in Edmonton. Since joining HFKS in 2000, Janet has been involved with the design of numerous institutional projects. Her specialist consulting concentrates in the areas of healthcare, medical research, academic and institutional planning, architectural design and interior design. As a lead project architect, she works closely with facility users and stakeholders to effectively translate space requirements into cohesive design solutions within both renovation and new construction projects. Knowledge of laboratory casework, equipment coordination and mechanical and electrical servicing are some of her key design skills used on laboratory projects. Over the last several years, Janet has played a lead role in the renewal of research chemistry labs at the University of Alberta. Other lab design experience has been in the planning and coordination of various research and teaching facilities, including biological safety level 2 labs (BSL2), cGMP labs and vivarium. Some of Janet’s notable projects include the Katz Group Centre for Pharmacy and Health Research, Li Ka Shing Centre for Health Research Innovation and the Medical Isotope & Cyclotron Facility – all at the University of Alberta. The presentation will outline techniques used for reducing laboratory energy using case studies of retrofits from the university of British Columbia. The presentation will show applications ranging from retrofits for large high plume exhaust systems, to individual fume hood systems. It will show examples of retrofitting energy recovery systems to a lab to capture waste energy from exhaust and process cooling systems and how this is reclaimed to heat the building while also saving large volumes of potable water. It will also show how these techniques fit into the site wide context of the UBC campus district energy system conversion from steam to hot water. Stuart Hood is a Professional Engineer and Managing Principal of Integral Group with over 25 years of experience in building services engineering. His experience covers a wide range of projects including laboratory, clean rooms, institutional, airport, commercial, and manufacturing facilities. He has completed a number of large research and teaching laboratories, schools, libraries, animal care facilities, museums, and recreational facilities. Some of his notable projects include the University of British Columbia Quantum Matter Institute, the Simon Fraser University Shrum Science Building, and University of Victoria Bob Wright Centre for Ocean, Earth & Atmospheric Sciences. Originating from the UK, Stuart has gained high-level global experience from his involvement in world-class manufacturing facilities in Europe and the Far East. Working on such complex projects has given him an in-depth understanding of the integration of engineering and architectural systems, which is essential to delivering high performance design solutions. He is proactive in following sustainability practices across the world to seek out progressive technologies and strategies that he can incorporate into his projects in North America. He served as a member of the West Vancouver Design Review Committee from 2008 to 2012, the City of Vancouver Urban Design Panel from 2015 to 2016. Most of the laboratories in the Government of Canada (GoC) are of the 1970’s vintage, where there are a lot of opportunities for energy optimization as well as improving occupant health and safety in new and retrofit lab projects. This presentation will include overall federal labs inventory and discuss programs to improve lab design, operations, benchmarking and energy reductions. Since Laboratory Ventilation System (LVS) is a complex system that is costly to design, install, operate and maintain, at the same time, have the largest impact on the lab environment, personnel health and safety, energy consumption, and the building’s life-cycle costs, it is necessary to have a consistent process to develop the LVS retrofit program. The second part of this presentation will show the Laboratory Energy and Safety Optimization Process that was developed for GoC Labs. Paul Sra has 30 years of experience in design, construction and maintenance of federal facilities and has overseen the delivery of several large and complex lab projects. As a chief mechanical engineer at Public Services and Procurement Canada, he successfully implemented commissioning and legionella program at federal facilities as well as managed the development of various mechanical standards including fume hood testing and per choric fume hood. He played a leading role in lab network and now working on service delivery with regions how to optimize labs across the science portfolio. Timothy Ma has over 35 years of both private and public sector experience in design, project management, research and development, policies and guidelines, and operations and maintenance across a diverse range of mechanical systems, such as laboratory containment, buildings HVAC (heating, ventilation and air conditioning), plumbing, fire protection, and central heating/cooling plants. Timothy is a registered professional engineer in Ontario and has a master’s degree in mechanical engineering. He is also a Project Management Professional and a member of ASHRAE. A new cell therapy industry is forming. It is based on a new type of product: live potent cells. First generation production facilities for therapeutic cells were cleanrooms. It made sense. It was the old standard from pharma. However, next generation cell production facilities are moving away from the cleanroom for many good reasons. The BioSpherix approach is a total quality approach. BioSpherix recognizes that for best cell potency, cells need full-time optimization of all critical cell process parameters (O2, CO2, RH, T). Our customized/closed technology recognizes that all typical negative side effects of machines on cells (particles, heat, vibration, etc.) must be neutralized to make automation compatible with a cell optimized ecosystem, and those machines must be protected from dust, aerosols and corrosion. Total quality recognizes that each entire cell production line (all manual and automated steps) must be protected from microbial contamination by full-time, absolutely aseptic conditions. Total quality recognizes that all personnel must be fully protected from cells harboring virus, vectors, prion, and other pathogens. Total quality recognizes that scaling up and out must be efficient. Total quality recognizes that cost efficiency is a fundamental quality attribute, critical for commercial. The Xvivo System is a comprehensive, modular, total quality "platform" for cells. Ken Rando is the Clinical Sales Team Leader for BioSpherix Medical. He has ten-plus years experience in the biotech/medical research industry. Thermo Fisher Scientific is committed to designing products with the environment in mind – it’s part of how we enable our customers to make the world healthier, cleaner and safer. Greener product alternatives from Thermo Fisher Scientific support sustainability goals by making laboratory products less hazardous, using fewer resources/generating less waste, using less energy, having more sustainable packaging and/or having more sustainable disposal. For our customers, this means less waste generated in the lab, less money spent on utilities and waste disposal, and a smaller footprint. We will present the rationale for our sustainable product design “green criteria” and highlight examples of how these have brought tangible benefit to our customers. Christie Fekete is the Sustainable Design Program Leader for Fisher Scientific and UofA Alumnus (BSc ’96, PhD ’02). She has over 20 years experience in academic science and in biotech, where she applies scientific knowledge to provide sustainable solutions for scientists around the world. Danial Bishop is Fisher Scientific’s Account Manager for the University of Alberta. 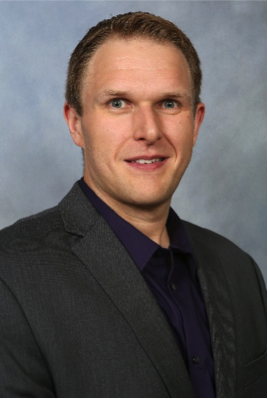 He has a Bachelor of Applied Science and 20 years experience in the scientific industry in Australia, Iceland, Denmark and most recently here in Edmonton. LEED v4, Mandatory Energy Labeling, Carbon Taxes, NetZero Energy, the WELL Building Standard… As we strive to create the next generation of sustainable labs the standards listed will play an important role in shaping new developments. Great high performance lab design strives for an appropriate balance between function, safety and energy performance however expectations of ‘high performance’ are continuously evolving. The CaGBC in Canada is about to transition to LEED V4, numerous jurisdictions across the globe, including here in Canada have, or are on the verge of adopting mandatory disclosure energy labeling and reporting, these developments will be financially linked to Carbon Taxes or various other ‘polluter pays’ mechanisms, and NetZero Energy or Carbon Neutral are the new high bar for the most advanced developments. What do these changes mean for the northern climate lab? Can facilities in our climate keep up, or even lead the world. This presentation will review key energy performance tenants of LEED v4, absolute comparators likely to be employed in adoption of mandatory energy labeling and carbon disclosure, and whether the NetZero Energy or Carbon Neutral Lab is a possibility in the Canadian context. Additionally, while advancing shades of ‘green’ have become commonplace in the design and construction industry (see above) a new trend towards a people-centric design standard is emerging. The WELL standard, like LEED is a third party performance standard developed to spur market transformation. For a building design to be considered high performing, it must create a hyper productive space where occupants feel motivated, inspired, and genuinely enjoy coming to work. The overall benefit of promoting the health, well-being and comfort of building occupants will be discussed in the general context of factors like productivity, ‘the war for talent’, and retention with reference to the intent behind the WELL Building Standard. WELL’s focus is internal to the building occupancy and is developed to emphasize seven key indicators of occupant health: air, water, light, nourishment, fitness, comfort and mind. This presentation will review key tenants of the WELL standard and discuss Canadian challenges to implementation including criteria, interpretation, certification process, and place in the market. Justin Downey is a recognized expert in high-performance buildings and green building certification. His deeply informed technical advice ensures RWDI client buildings are designed and constructed to respond to today’s climate realities and tomorrow’s climate uncertainties. With his interdisciplinary team, Justin steers buildings to new thresholds of performance and sustainability – from design through construction and operation. Whether he is delivering sustainable master planning, LEED consulting or energy analysis and modelling, Justin thrives on the scale and global reach of RWDI projects. A seasoned consultant pushing buildings to new thresholds of performance and sustainability. This presentation will focus on the additions introduced as part of the latest revision of the ASHRAE Laboratory Design Guide. The speaker will briefly summarize the first edition of the technical document, outlining the reasons for the revision. Thereafter, discuss the contents of the guide in terms of good practice in laboratory design. Finally, a review of the two new chapters on modeling and the sustainable development measures in laboratories will be presented. This presentation will provide an overview and examples of the design and operational characteristics that make the vivariums flexible and adaptable to the changing environment of research. The presentation will be based on experience and perspectives from various stakeholders in the context of their priorities and ideas. Participants will be encouraged to discuss strategies that have worked at their own institutions. Dr. Badru Moloo has over 30 years’ experience as a laboratory animal veterinarian. He has held several positions with the government, public and private sector at various hospitals and research facilities. Dr. Moloo is a recipient of the Tecniplast Veterinarian of the Year Award (2012) as well as the Charles River Canada award from the Canadian Association for Laboratory Animal Medicine 2015 in for special achievements and contributions to laboratory animal medicine and community service. While incentives often play a crucial role in energy efficiency projects, their potential influence on planning, operations and sustainability is far broader. Starting with a look at the different approaches for developing energy efficiency business cases, including potential sources for funding and incentives, this presentation will then examine how integrating incentives into capital and project processes can help more than just the bottom line. Ed Rubinstein is the Energy and Environment Manager at the University Health Network. He has been leading the hospital’s many environment programs since 1999 and has helped UHN become a leader in greening health care. Please join us for a sneak peek tour of the new Royal Alberta Museum in Edmonton. The Design Team will lead a tour of this projected LEED Gold facility illustrating the measures taken to meet the program, stringent temperature and humidity conditions, and extensive water damage mitigation strategies for the wide variety of spaces. The project is currently finishing construction and commissioning and will be a destination for all Albertans when open in 2017. By capturing and expressing Alberta’s history, landscapes, and promising potential, the Museum’s new signature building will engage the public and change their perception of a Museum. This tour highlights the challenges to the team to design a cost effective and exceptionally innovative green facility to meet a complex building program which includes extensive conservation lab and workroom suites. The project is being delivered under a challenging design/build model. The new 39,000 square meter facility is designed for functionality, resiliency, reliability, temperature and humidity stability and low operating cost. A variety of technologies are used to condition and protect a wide range of space types including artifact storage, workroom laboratories, permanent and temporary galleries, community activity spaces, children’s museum and administrative spaces. Transportation to be provided. Space is limited. Sign up at the registration desk when you check in.